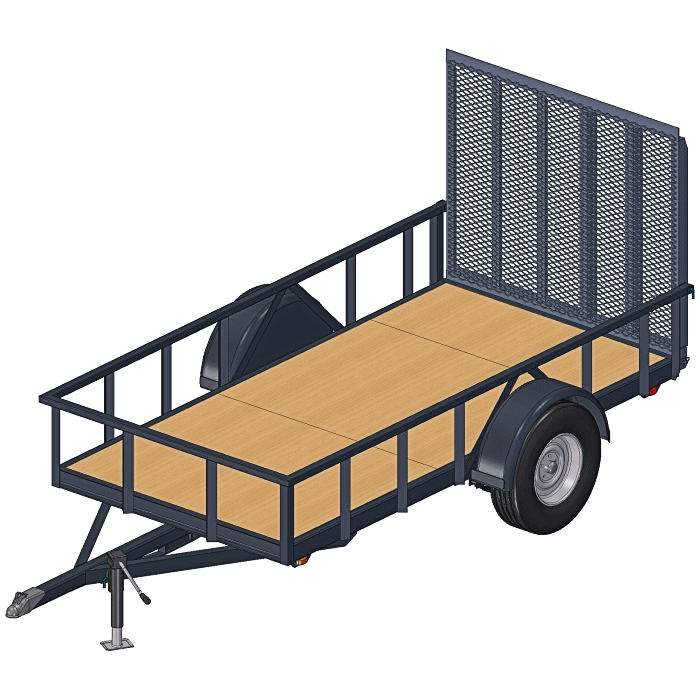 These 5×10 Utility Trailer Plans make a great trailer for all kinds of jobs. From weekend yard work , to moving duties, to taking ATV’s or motorcycles out, this trailer will do it. This design is strong with rectangular tube main beams and C-Channel front and back. The 5×10 utility trailer is one of our most popular, partly because of the size, yet partly because of all the options. Check out the unique features. If you need something different, our 6×10 Blueprints offer a little more space. Or, the 5×8 Blueprints which are a little shorter. 5′ x 10′ nominal bed size. The actual bed size is a little larger. Plans include several design options for capacity and utility. Removable ramp, and sides options included. Plans package is complete with drawings and illustrated instructions. 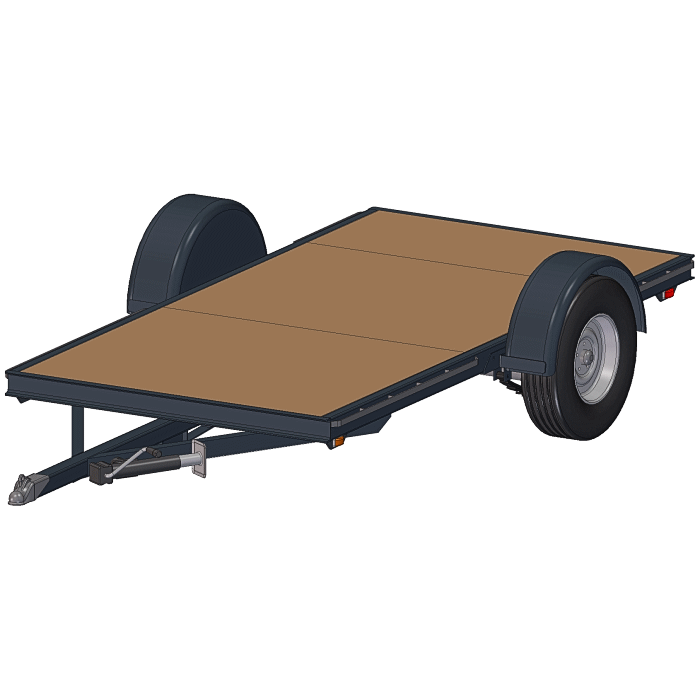 Design options for building the trailer make it possible for you to truly customize your work — to make it look nice and to make it function to your particular needs. Add-ons like a top, sides or tailgate are easy. And, a motorcycle stand, a ramp and toolbox mounting make nice functional additions. All of these are options. 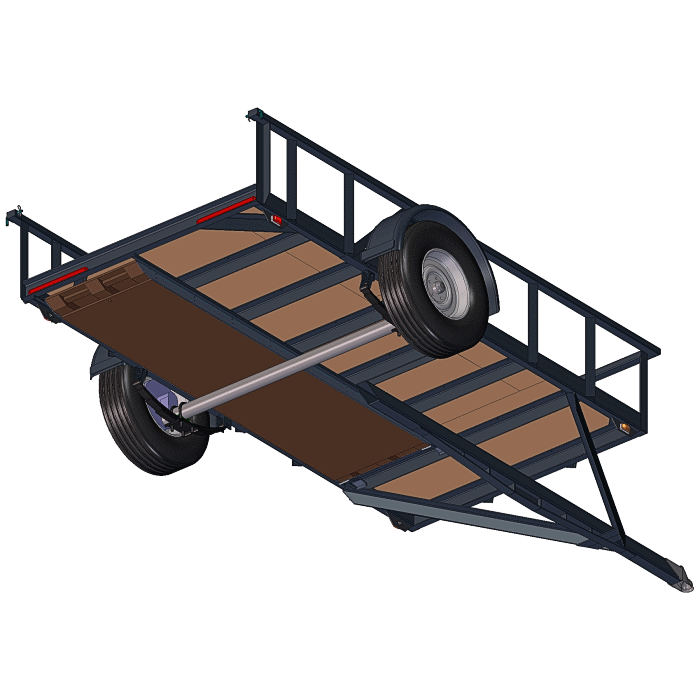 The flatbed is the base trailer, and it will handle the loads even without adding sides or other things for stiffness. 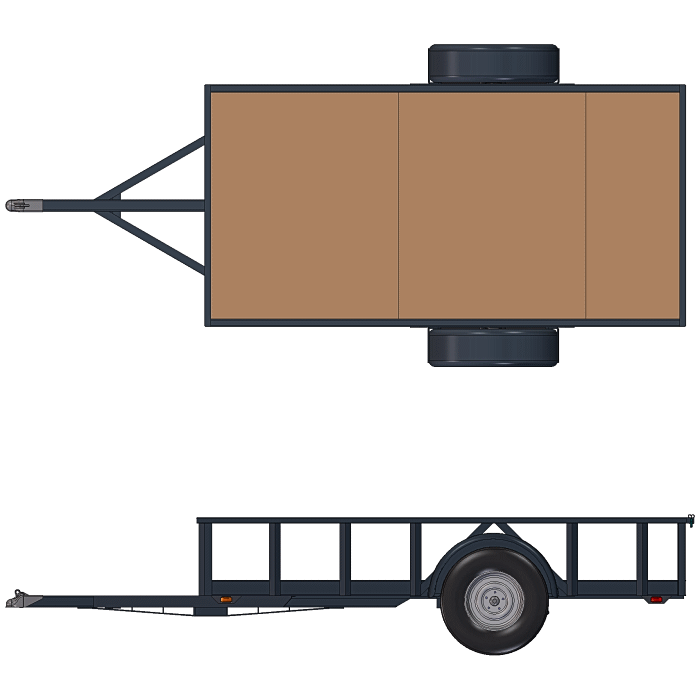 One set of options available with the 5×10 Utility Trailer Plans. The ramp stores under the trailer bed as seen in the image at the top of this page. All are included in with the plans. Trailer bed size is slightly larger than 5 ft. wide x 10 ft. long. 62″ Width, 123″ Length edge to edge. Max capacity for the 5×10 utility trailer (depending on options) is 3500 lbs. * (which includes the trailer weight). Total weight will vary depending on design options, but will range from 630 lbs (minimal flat bed) on up.